It has been a year since I had to have a kind stranger open my phone and dial my husband. It has been a year since he and myself had one of the bigger scares of our lives. One year since the negligence of one person took something from me, in a split second. 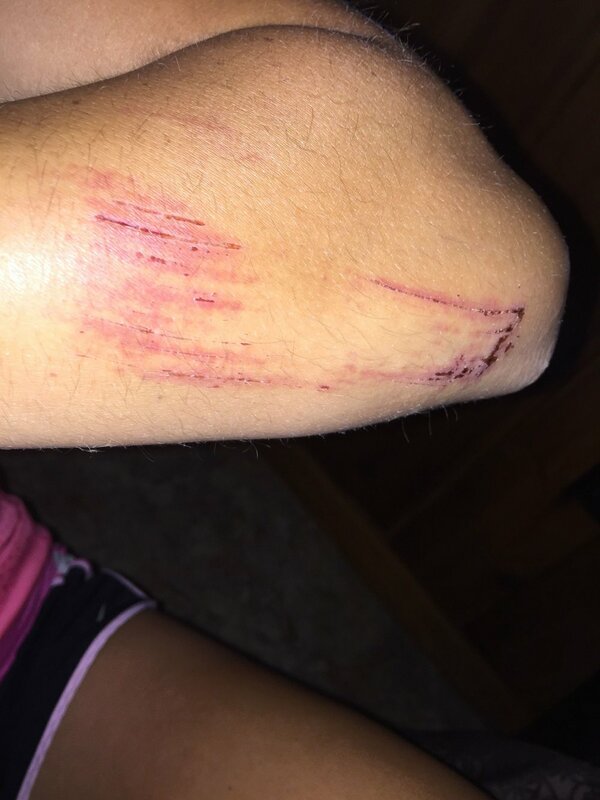 One year since I was hit from behind by a car of someone who just did not seem to care that she hit someone. For a bit I wasn't sure if I was even going to mark this day as in the last year I have seen many others go through WAY worse than I did on that day. Friends who have lost family members, had much more serious breaks than I did, more serious accidents, gotten cancer, lost jobs, and the list could go on and on. However, this day marked a significant incident, one I still deal with mentally and physically, for myself. 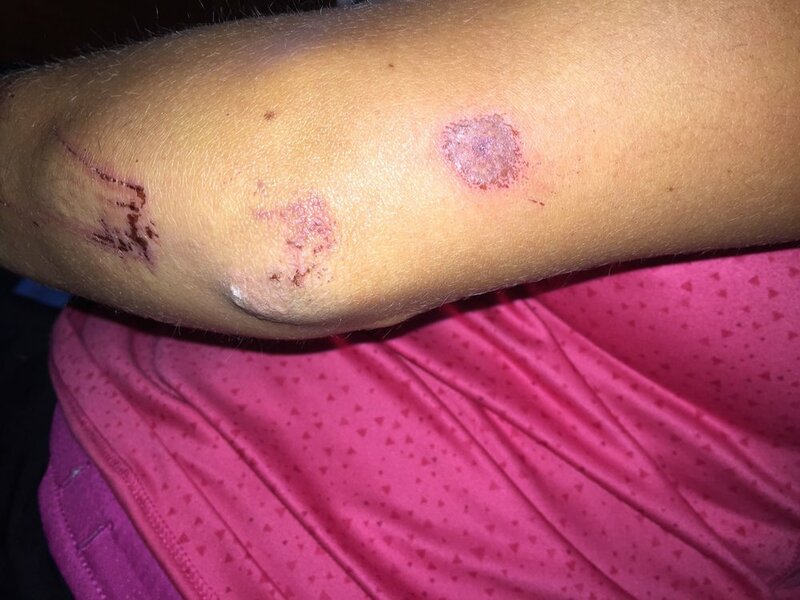 In case some of you are new to my story, social media, and/or this blog on July 23, 2016, one month out from Ironman Couer d'Alene, I was hit from behind by a car driven by someone who decided it was more important for them to let their focus stray than pay attention to the road they where driving in while on the last 1.5 miles of a training day. To this minute I can still hear the crunch, you know the one where a car hits a light pole or another car, as she struck me on my left side from behind. To this day I can still feel the burning of my leg as I scrambled off the road in order to get myself on the sidewalk. To this day I can still feel the panic as I knew in my heart that a dream I had worked so hard for was potentially slipping out of my fingers. 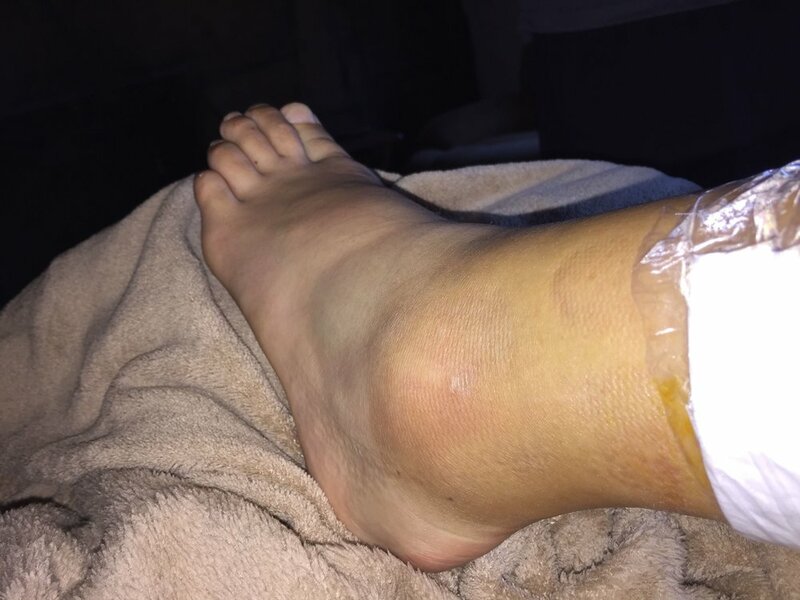 I was diagnosed with a broken ankle and multiple soft tissue abrasions and contusions and was blessed to walk out (on crutches) of the Emergency room. Looking back they definitely missed some sort of diagnosis of the severe burn/adhesion (about two quarters thick and the size of a half dollar) on my left leg that almost ended up giving me more grief down the road than the broken ankle. Now before I continue to tell the rest of the story and what has happened in the last year since the accident I want to note that while it was traumatic I am very aware and acknowledge how incredibly blessed I am for the minimal damage that occurred due to this accident. On that day I had a guardian angle watching over me and to this day I thank him and/or her for guiding me to safety throughout the incident. My mom always told me that God didn't hand people challenges that he didn't think the person could handle and come out of, and to this day I believe this was his way of pushing me to something greater, stronger, and better. When I hobbled out of the Emergency Room I still held onto some faith that maybe, just maybe, I would still be able to compete at Ironman Couer d'Alene. I had worked so hard to recover from hip surgery at the beginning of the year to get myself ready to start training for Ironman in February that the idea of giving up on this dream so quickly was agonizing. Turns out the recovery process was more painful, exhausting, and brutal than my hip surgery. Yet, most of you know the story so I won't bore you to much more on the highlights of what happened but really what still exists today. 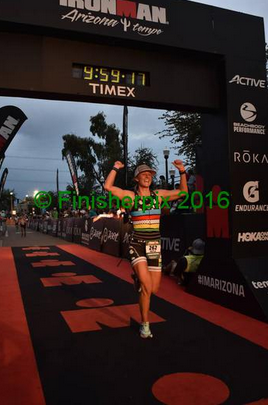 As many of you know my husband signed me up for Ironman Arizona once we found out I would not be racing at CdA and that my recovery time should (theoretically) give me enough time to prep for Arizona once I was cleared by the doctor. The road to Ironman Arizona was brutal to say the least. I was up early and late to get my training in as I was working full time and going to extensive physical therapy in order to get myself physically capable to make it through the full 140.6 miles. That my ankle aches every minute of every day. That I still hear the crunch of steel with body and bike as she hit me. That if I could afford it ( we can't) I would still be going to physical therapy at least once a week in order to keep the scar tissue, swelling, ligament tightness, and all other issues that where never there before the accident that now are. That my physical therapist told me I probably should go get my hip (the one I had surgery on and took the brunt of the accident) look at by an orthopedic therapist as it is back to the same state it is what prior to my hip surgery. That as a stomach sleeper I have to hang my foot off the bed because it cannot flex enough. That I jump every single time a car passes by just a little to fast or a little to close while I'm riding. That I think about the accident every single time I jump on the bike. That I still feel guilt for having to ask my husband to set aside starting a family for a year so that I could chase my dreams. 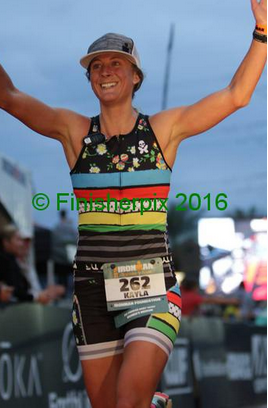 That I am afraid every day that Ironman Arizona was just a fluke caused by some grace helping me through in retribution for the accident. That I will not be strong enough to get myself through Kona. Most of this will slowly fade as time continues to go one but even a year later most of it haunts me on a daily basis, some less than others. It is said that a lot of this would decrease, though not go away completely - specifically in regard to the physical pains, if I was to stop competing but that would mean giving up a passion and than she would have won. I will not let her win. I will not let those telling me that I can't do it win. I will not let someone who decided that they weren't going to follow the rules of the road take something away from me just because it aches. I will not let her win. If continuing pursuing a passion and sharing my story means that I have to endure some of the above pieces I would rather it be me who does so. When I started this journey and Where Your Feet Take You I swore I would continue to share my story with hopes that it would maybe inspire someone whom never through they could challenge themselves, to do so. It is this desire that keeps me going and continues to burn the fire inside. For I can't give up on me as that means I would directly be giving up on you, that is something I will not do. So this road continues with Whistler 70.3 coming up next weekend in which I hope to put to good some of the changes, improvements, and strengths I have gained over the last month working with a coach (I will post next week prior to the race). Before I leave you today I want to say thank you to every single one of you who have believed in me throughout this journey. Who stood by me when I was angry after the accident, who's continued faith keeps me going, who understands the mental and emotional stress that comes from (and continues coming even days, months, and years) after an accident like this. Thank you to all!